The summers are almost here and soon everybody will gear up to go out on vacation to different places. Gone are the days when we all used to visit our grandparent’s house after final exams were over. Today, kids want to go on foreign trips to exotic locations. But hey, why am I talking about vacations here? This is not a travel blog. Well, I realized that if you are going to go to all these ‘abroad‘ places, why not use this opportunity to share with you all, some most COMMONLY MISPRONOUNCED PLACES around the globe. And why should you read further? Well, for one, you might end up holidaying in one of these places and even if you won’t, there is no harm in gaining some knowledge, right? But first, let me tell you that the reason why people tend to mispronounce the name of a country or a place is because these names come from the regional or national language of that area. It’s not your fault if you are mispronouncing them every time you see these names written in English. Every language has different sounds and pronunciation for English alphabets. So, the best you can do is learn their pronunciation as the natives say and you are good to go. • Officially called the Republic of Maldives, this country is actually an Island situated in the Arabian Sea, Indian Ocean. • It’s the smallest Asian country by both area and population, but that doesn’t stop this beautiful place to become one the most sought after holiday destination. Fun Fact: Maldives is the lowest and flattest country in the world. • Again, officially called as the Republic of Mauritius, this is also an island nation situated in the Indian ocean. • Mauritius is world-renown for its lush vegetation, dramatic mountains, sugar-white beaches, aquamarine lagoons and exotic mix of Indian, African, British, French, and Chinese cultural influence. Fun Fact: Mauritius was the only known habitat of the now-extinct dodo bird. • It’s a seaport city in the U.S. state of Florida famous for its exotic beaches and happening nightlife. Miami Beach is one of the few man-made islands in the United States. • For those that want to take a cruise, Miami Beach is the place to be. Miami contains the largest cruise ship port in the entire world. Fun Fact: The first Burger King opened in Miami in 1954. • It is the most populous city in the United Arab Emirates (UAE) and is globally famous for its luxurious lifestyle and Middle Eastern culture. • The biggest attractions of Dubai is BURJ KHALIFA- the tallest building in the world; and The Palm Jumeirah – an artificial and planned archipelago. Fun Fact: There are ATMs in Dubai that dispense gold bars. • Melbourne is the capital city of the Australian state of Victoria is believed to be the world’s most liveable city. • It’s the unofficial sporting capital of Australia and one of the most famous tourist destinations here is the Melbourne Cricket Ground, better known as the MCG. Fun Fact: Melbourne was originally going to be named ‘Batmania’ after one of its founding fathers, John Batman. How cool is that? • It’s the capital of the world’s most populated country – China. • Beijing is home to the world’s longest wall – THE GREAT WALL OF CHINA. Fun Fact: Beijing will be the first city to host both the Summer and Winter Olympics. • Officially known as the Federative Republic of Brazil, Brazil is the largest country in South America. • Brazil is famous for numerous things such as The Christ Redeemer Statue in Rio de Janeiro (one of the 7 Wonders of the World), Brazilian coffee beans, carnivals and much more. So that’s pretty much enough to brag in front of your friends with your fluent pronunciation. Hope you actually get to go to any of these places to enjoy your vacations. 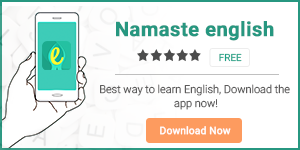 Improve your English skills with the help of our English learning app – Namaste English.